FOOTBALL: Claudio Ranieri was a relieved man after his Leicester City team had a first home win in 2017 to move through to a fifth-round FA Cup tie with Millwall. The Foxes boss was full of praise for Championship side Derby County which took Leiecster to extra time in the replay at King Power Stadium before the home side won 3-1. Ranieri said the win was good for all concerned at the club after a poor run which had seen his side slip to just outside the relegation places in the English Premier League. "Derby played good football and we won. This is what we needed and I wanted," the Italian said. "We want to do well in all competitions. "We want to go forward in the FA Cup. "The Premier League is not so good but we have to stay in the Premier League. This fresh air is good for the players." Demarai Gray's superb solo goal sealed the win in extra time but it was a struggle for the EPL champion. Andy King had headed the hosts in front in the second half of normal time before Abdoul Camara's deflected free-kick forced extra time. 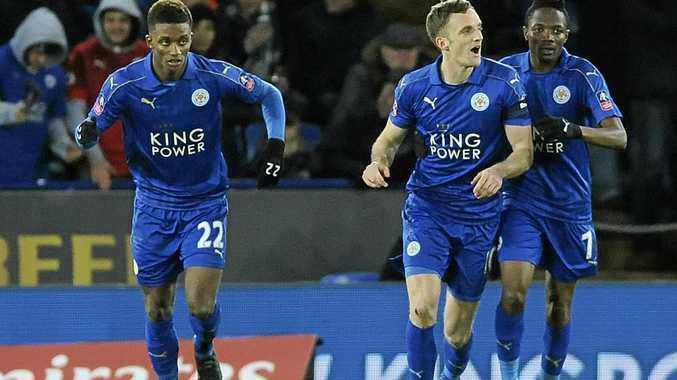 Wilfred Ndidi restored the Foxes' lead with a fantastic strike in the first period of extra time before Gray's angled finish after a fine run sealed the win. Gray sealed a deserved win with an angled finish after a fine run.